Help us stop Malaria Today. We’re out to stop malaria in Niger, where the disease is responsible for a third of all deaths. It’s especially deadly for children under 5. Backed by more than a decade of experience in malaria prevention and treatment, we’re going to treat 2 million Nigerian children with preventive medication. This treatment, known as seasonal malarial chemoprevention (SMC), can be administered by community health workers and costs just $3 per child. Our goal is to reduce the number of cases among children by 50%. 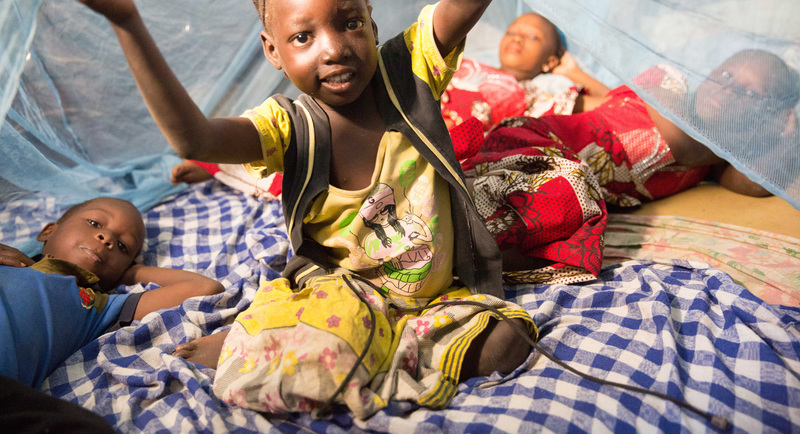 Protect 10 children from malaria for just $30. It’s that simple. Malaria deaths have been reduced by 60% over the past 15 years, yet this disease remains one of the largest killers of children in Africa. It’s time to do more. We can prevent malaria. We can treat it. Grab a friend, family, neighbors, your youth group or anyone who wants to stop malaria in its tracks. Start here, with your help, we can work toward eliminating it. Read below on how we're fighting malaria and keeping kids alive! Find out how we’ve already begun fighting malaria in Niger. CRS distributes 16 million insecticide-treated bed nets in 6 months to stop deadly disease. Thousands of children in Benin have been tested and treated for malaria through CRS’ work to bring medical care closer to rural communities. Stay involved in the fight against malaria.